In a sunlit kitchen in a suburb east of San Francisco, Veronica Aguilar was helping bake a cake one recent afternoon. She dipped her finger in the batter and smiled approvingly. But the baking project provided only a brief distraction. Aguilar kept checking her cellphone, anxiously awaiting news from her mother and 15-year-old son. They had just arrived in Tijuana, after traveling from El Salvador and joining a caravan with thousands of other Central Americans. Aguilar, 36, knew the perils and hardships of their journey. Last fall, she fled death threats from gangs near her home in San Salvador and joined a smaller caravan of about 350 people crossing Mexico. She said she was so nervous at the beginning of the trek that her stomach hurt. After she made it to the Tijuana-San Diego border crossing, Aguilar sought asylum from U.S. officials. She said she was jailed by U.S. Immigration and Customs Enforcement for seven months in Orange County while her claim was processed. But a nonprofit organization, Pueblo Sin Fronteras, raised the $15,000 bond set by an immigration judge. And a couple, who Aguilar had never met, agreed to take her in so that she could be released. Aguilar left the immigrant detention facility under electronic monitoring in June, with a bulky black GPS device locked to her right ankle. She headed to the home of Ann and Kent Moriarty in Pinole, where she has lived ever since. Though her initial asylum petition was denied, she’s now appealing with legal help. The Moriartys have come to feel like family at a time when Aguilar yearns for her son and mother on the other side of the border. Though she often clutches her phone and is unable to sleep, they help to ground and support her. When Ann and Kent Moriarty are around the house — usually cooking meals or tending to the beehives and chickens in their garden — Aguilar often laughs and jokes with them, which eases her anxiety a bit. "They welcomed me even though they didn't know me," Aguilar said. "And they have a big heart. They are always there when I need them." In San Salvador, Aguilar worked a steady job as a seamstress. But she said she used to cross different gang territories when she walked to the gym, and "pandilleros" threatened to kill her. She feared gang members would force her son to join them. So after she settled in with the Moriartys and got word of the recent caravan, she called her mother with a big request: Could she accompany the boy more than 2,700 miles to the U.S. border? It seemed the only way to keep him safe on the way north. Standing by the entrance to an overcrowded, outdoor migrant shelter in a sports complex in Tijuana, Aguilar’s mother, Luci Diaz, described what happened next. Diaz said sometimes, she would find gang members with guns drawn sitting on her doorstep. "It's a red zone for gangs," said Diaz, adding that young men who refuse to join a gang face grave danger. "I just wanted to save my grandson’s life." So Diaz and Vladimir left the farm with only one change of clothes and a few belongings. They rode buses to catch up with the caravan of mostly Hondurans in southern Mexico. Once they joined the larger group, they walked dozens of miles each day or caught rides with truckers. Diaz said she kept Vladimir's birth certificate in a plastic bag near her chest, to guard it from the elements. When her sneakers broke, a woman gave her a pair of flip-flops that she wore the rest of the way, Diaz said. She bent down and pointed at her feet. Six toenails had fallen off on the journey. "There were times when I felt I couldn’t go on," said Diaz. "But I'd look at my grandson and that would give me strength. I did everything I could to make it here." Buzzing around Diaz, a crowd of more than 4,000 migrants stood in line for food donations and milled about the shelter near the U.S. border fence. Some families rested on mats on a baseball field surrounded by their belongings. 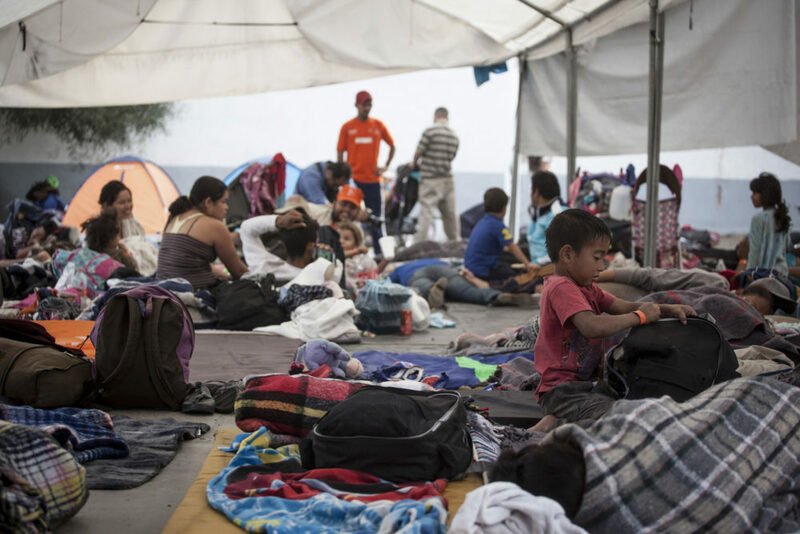 When rains caused flooding, Tijuana officials shut down that shelter and opened another facility with roofed areas for migrants. But Vladimir wasn't staying with Diaz. Days after arriving in Tijuana, Diaz decided that the boy would be safer sleeping at a small youth shelter across town where he would have regular meals and access to immigration attorneys. She knew he would need help to prepare his asylum claim. Diaz never intended to cross the border with Vladimir. She needed to return home to care for the other two grandchildren she is helping to raise, she said. A day before heading back to El Salvador, Diaz visited Vladimir at the youth shelter to say goodbye. She didn’t know when she would see him again. When Diaz arrived at the two-story house near a busy avenue, a dozen teens sat on couches, watching soccer on TV. Vladimir, a lanky boy wearing a baseball cap and shorts, got up to greet her. A staffer at the shelter led the pair to a room so they could have a quiet place to visit. "I'm fine here," Vladimir said. "We have everything we need." But the teen looked scared. His eyes were wide. With his grandmother leaving, the 15-year-old would be alone in a strange city. He would have to make the rest of the journey alone to his mother in the Bay Area. "It'll be difficult because I don't know what’s going to happen, if I'll even be able to cross the border or not," he said. His grandmother pulled the boy close and hugged him. "Remember I love you," she said, with tears streaming down her cheeks. "I brought you here not to abandon you, but to make sure you have a future." 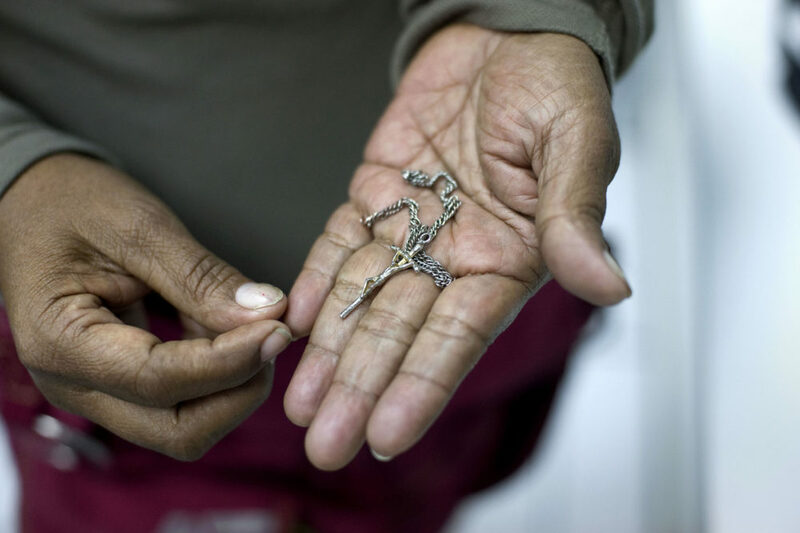 Vladimir reached into his pocket and gave his grandmother a small silver crucifix on a thin chain he had worn since they began traveling together a month before. Diaz clutched it as her grandson left the room. Then she collected herself and stepped back out onto a Tijuana street. It could be months before Vladimir sees a U.S. asylum officer. If he doesn't pass an initial interview, he'll be deported to El Salvador. If he does pass, he will likely be held in the custody of the U.S. Office of Refugee Resettlement for weeks or months until arrangements can be made to release him to his mom. In the Moriartys' kitchen in Pinole, with the chocolate cake in the oven, Aguilar said she hopes she will soon reunite with her son. But she still feels powerless. 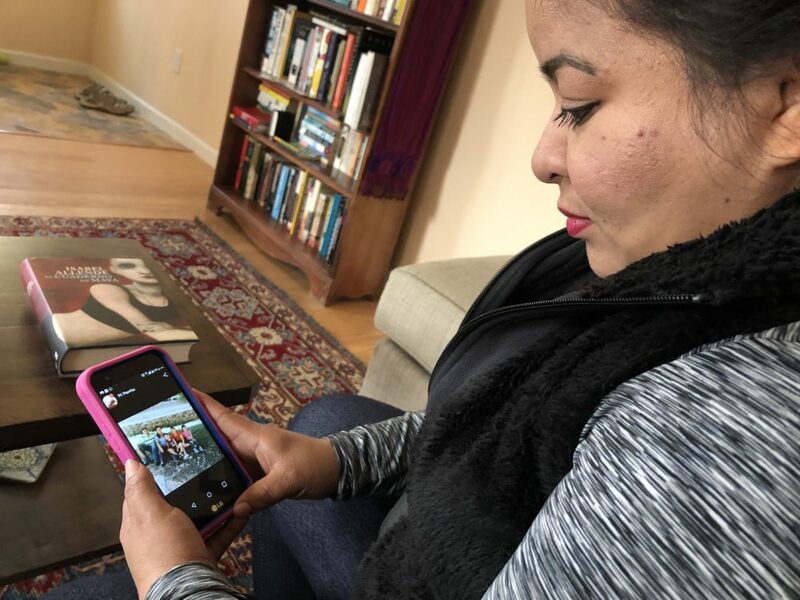 Part of her wants to run to meet him on the other side of the border, she said, but she doesn’t want to give up her asylum claim. One thing that gives her comfort, Aguilar said, is the support of her hosts, the Moriartys. "It makes me feel that I'm not alone," she said. Kent and Ann Moriarty say they are willing to do whatever they can to help Aguilar regain custody of her son. 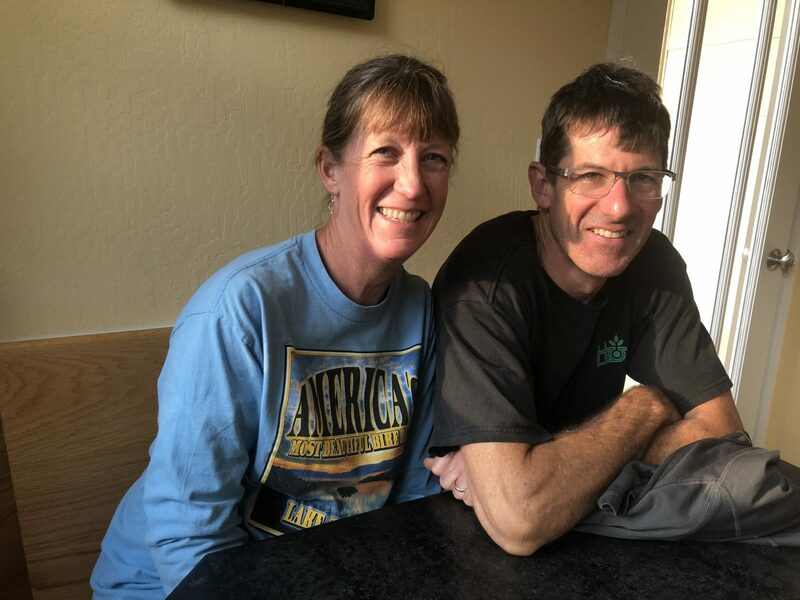 Before opening their home to Aguilar and another Salvadoran family seeking asylum, the Moriartys volunteered for years visiting detained immigrants and helping them stay in touch with relatives back home. Hosting asylum-seekers felt like a natural next step, said Ann, a former middle school science teacher. "We are both Christians, and that's what has motivated us, in thinking of how Christ talks about welcoming the stranger," she said. Sitting at the kitchen table, her husband Kent, a mechanical engineer, said there's another motivation. He has seen his house guests are sometimes treated with suspicion when they venture out to the streets. "I want to provide a counterpoint to that," he said. "I don't want them to see us and our country as full of mean people who don’t welcome them." Since June, more than 800 people nationwide have pledged to open their homes to help asylum-seekers leave immigration detention, according to Liz Martinez, with the California-based nonprofit, Freedom for Immigrants. Volunteers came forward after the Trump administration began separating families at the border this summer, she said. "So many people are now interested in helping out immigrants in a way that we haven't seen before," Martinez said. As Veronica Aguilar waits to see how an immigration appeals board will rule in her case — and if she'll be able to live with her son in this country — she spends most days working to support other migrants with the caravan and in ICE detention in the U.S.
On a Sunday afternoon, Aguilar put on some makeup, brushed her hair into a shiny ponytail and headed to a church in Berkeley that invited her to speak about ways to help. "The most important thing now is to connect with other people here in the U.S. so that more families or churches can help receive asylum-seekers," Aguilar said. "There's a lot to do." Farida Jhabvala Romero (@FaridaJhabvala) reports on immigration, economic opportunity, and race and ethnicity for KQED News. 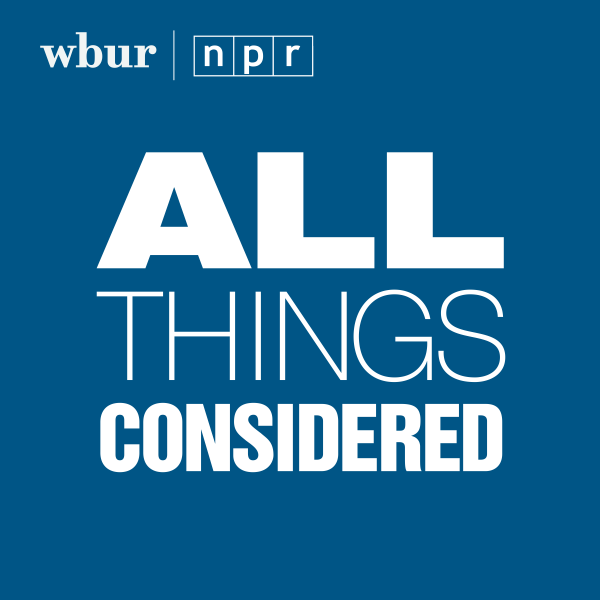 This story originally ran on KQED's website.